F. A. (“Fran”) Dramis is the CEO of FA Dramis LLC, an investor, and a member of multiple public and private technology boards. Fran chairs the board of Catavolt, a provider of enterprise-grade cloud services for instant and secure access to enterprise data on mobile devices and is former chairman of Damballa, a computer security company focused on advanced cyber threats. Fran also chairs the board of NanoLumens and is on the advisory boards of Virima, Voyager Capital, kWantera, and We &Co.
Fran is a past board member of Netezza, Avacent Technologies, DiTech Networks, and webMethods. He has chaired various committees on nine boards in the past ten years including compensation, governance, and strategy, and was a member of the audit committees of the public boards. Most recently, Fran founded, chaired, and chartered the IT committee of the board for US Oncology, one of the nation’s largest networks of integrated, community-based oncology practices dedicated to advancing high-quality, evidence-based cancer care. Fran Dramis is the former Chief Information, Ecommerce, and Security Officer for BellSouth Corporation. During his tenure, BellSouth’s IT and Security groups received numerous awards and nationally recognized as one of the top organizations in their fields. 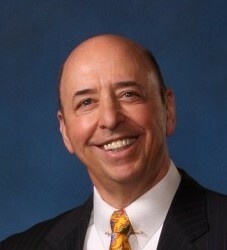 Fran also served as Managing Director and CIO of Salomon Brothers. Following his Wall Street experience, he founded CIO Strategy, Inc., an IT strategy consultancy responsible for the technology transformation of Citibank, Coopers & Lybrand, NASD, and Bankers Trust. Through his leadership and innovativeness in technology, Fran has been recognized by a variety of publications as one of the nation’s top strategic CIOs. Fran has authored two books: CIO Handbook that details his strategic planning methodology, and Creating an Intentional Business Life that outlines his mentoring process. He is a frequent speaker at technology and leadership forums. Fran received a Master of Science degree in Advanced Management from Pace University in New York City and a Bachelor of Arts degree from Rutgers University.